Undiscovered Montenegro - Why Choose Us? We believe that the best adventures involve people and places that can’t be googled. 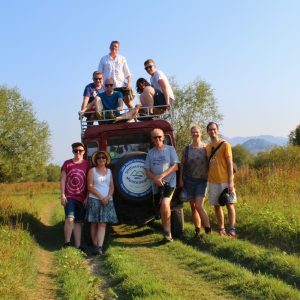 Our tours take you away from the guidebooks and into a world untouched, whether it’s a landscape of epic natural beauty or the traditional home of one of our friends – preferably both on the same day! Choose us and you will experience the real Montenegro, its timeless traditions, its warm, friendly people and its captivating wild beauty! 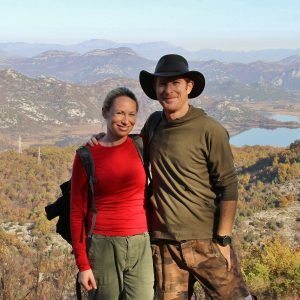 Living in this region as ‘global locals’ for more than a decade now puts us in a unique position of being able to create amazing, unique travel experiences based on our local friendships and extensive knowledge of Montenegro’s lesser-travelled paths. This tiny country is famous for its dramatic beauty but only a fraction is ‘discovered’. Let us help you escape the crowds while maintaining the high standards you expect on holiday – from timely tours and trip info to experienced guides, vetted tour equipment and the best of local accommodations and eateries. Small group travel means our local hosts and guides can spend time getting to know each and every one of you. Our maximum group size is 16 and it is often less than this. 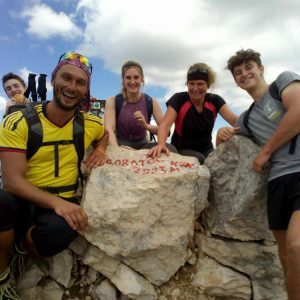 In the company of like-minded people who have actively chosen to holiday somewhere different, new friendships and perspectives can be shared and there is also scope to adapt our itineraries to personal preference and ability. We also always make sure there is a little time built in for you to spend how you choose. Your holiday, your way! We live in a world increasingly impacted by a growing population. Over the last ten years we have pioneered a sustainable model of tourism in Montenegro away from the main tourist areas. 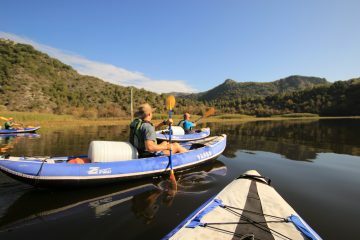 Leave No Trace travel principles are built into all our tours, which are mostly on foot or by kayak and have minimal environmental impact. Our ‘slow’ form of travel, spending days rather than hours in a single destination, visiting local homes, favouring local-owned places and products, supports local communities. 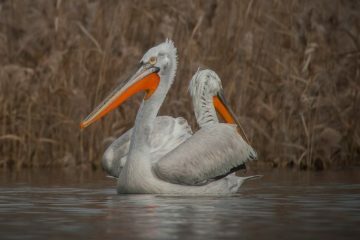 And we actively give back – a proportion of every tour booked goes to local pelican conservation, environmental action projects and community regeneration. Read more about our responsible travel actions here. Who can tell you better about the experience you’ll have travelling with us than our former guests? Even we can’t quite believe some of the amazing feedback we get – 2018 is the fifth year in a row we have gained a TripAdvisor Certificate of Excellence based on an average 5 star review rating. 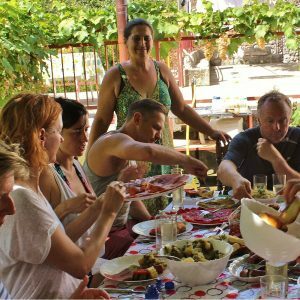 Those who stay at our Lake Skadar activity base also rave about their time there – check out these reviews for Villa Miela. We’ve also managed to impress the odd journalist, winning recommendations from top travel media such as The Guardian, Lonely Planet Traveller magazine, Daily Telegraph and National Geographic Travel – see our media page for more. 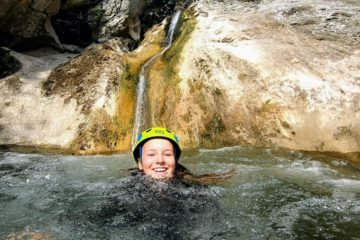 Precious vacation time can be ruined by an inexperienced tour company or guide. With Undiscovered Montenegro, you get the real deal. We’re a British-registered travel company with 10 years’ experience and have a registered business in Montenegro too. We have full liability insurance up to £5 million and protect all advance payments by placing them in a client monies account until the holiday happens. 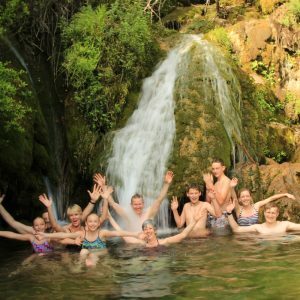 On our tours, we use only the best guides – experienced, personable, knowledgeable, trained and certified Montenegrins or ‘global locals’ with fluent English and a passion for the outdoors, nature, history and people – while all outdoor equipment we use, whether belonging to us or our partners, is carefully vetted.